Discover more about the comedy team that perfected the art of the pie fight! 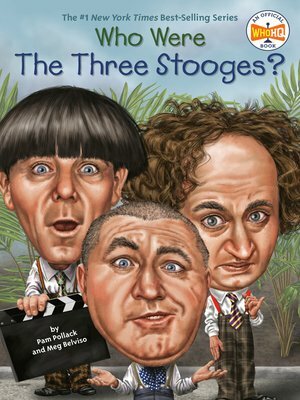 The Three Stooges were the hardworking children of immigrants and discovered a love of performing at an early age. Starting out as a vaudeville act, they soon transitioned into movies, becoming a worldwide sensation in feature films and shorts. Never the critics' darlings, audiences loved them for their mastery of physical comedy and their willingness to do anything for a laugh. They remained popular over the years despite several personnel changes that revolved around the three Howard brothers from Brooklyn. Their comedies are still in syndication more than 50 years after they were first shown on TV and continue to delight old fans and attract new ones.